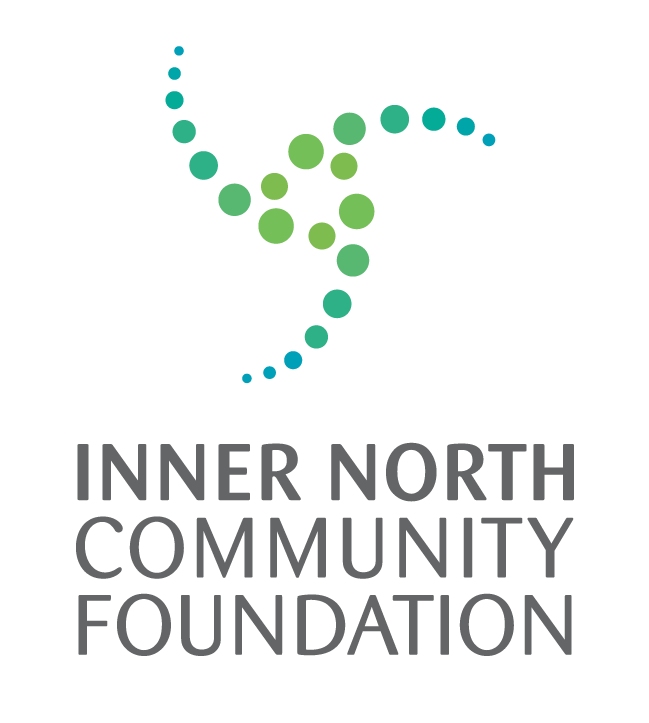 As part of the Northern Business Achievement Awards (NBAA) ongoing commitment to the advancement of young people and to the achievement of business excellence, the NBAA wishes to recognise the achievements of young people, 25 years or under, working in local businesses or who are residents of Melbourne's northern region. These Young Business Achievers are nominated from within the boundaries of the NBAA Breakfast Host Council. The following Young Business Achievers have received the award for their outstanding attitude, endeavour and contribution to their company and fellow employees. Recipients receive a certificate and a small prize in recognition of their achievement. If you would like to nominate a person 25 years or younger for this award, please contact your local Council Economic Development Team. Alex has been involved in music and media programs at Banyule Creative Arts Centre Jets for the past 5 years. Over this time Alex has transitioned from participant to a leader and now a professional film maker. His passion and commitment has grown for film making which has enabled him to begin his own small business "Masterworks Media Productions" creating media for a large range of organisations. Alex is obliging, professional, skilled, courteous and efficient with his time. He is prompt with communication and always happy to do whatever is required to meet customer's needs. Alex has been referred to a number of colleagues and external organisations with confidence, knowing that he will provide exemplary customer service and a top quality outcome. Alex has produced a number of professionally filmed and edited videos for: Banyule Council (Jets Studios, Youth Services, Community Safety, Metro Access); Banyule Community Health Centre; North East Partnership for Healthy Communities; City of Yarra; City of Moonee Valley; Gamblers Help; Youth Foundations 3081, plus a range of documentary, corporate and instructional videos. As an example the video he produced to explain the SHYNE youth project was highly effective in conveying our processes and outcomes to our State Government funding body. Another video he produced for our Youth Summit last year was an incredibly successful tool - it was meticulously planned prior to the event, then filmed and edited all during the event enabling us to show it to the large gathering of dignitaries at the conclusion of the event. Further to his professional outcomes, Alex has also been employed to training other young people in the field of film making. Alex is self motivated who is not afraid to ask questions and listens to and action any advice with diligence. Kimberley started as a part time staff member after school at People and has worked her way up to becoming store manager. Kimberley is loyal, and even though we say nobody is indispensible - except her! She is vital to the business. Kimberley also does work in her own time that benefits the business. Ror is an active passionate and dedicated young man. He has worked hard at creating music - with an album launch and some work with Molly Meldrum. He uses his musical talents to teach, motivate and inspire others both locally in his own community and places as far flung as Mornington Island. He recently had a documentary about his journey screened at the Melbourne International Film festival. Not content with just his music he is also working on a clothing brand. Kate started Mary Mary Studio less than two years ago. In that time, her business has flourished from being a humble little Facebook page to a busy floral studio with an ever growing customer base. With features on the Frankie Magazine blog and other prominent industry websites, successful campaigns for Mother's Day and Mental Health Week, wedding bookings at some of Melbourne's most prestigious venues, a loyal customer following and community support for organisations such as Beyond Blue and White Ribbon Day, Mary Mary Studio is a small business full of promise and exciting plans for the future. Samantha Gunn is 19 years old and has been employed by KMR Safety First for the past two years undertaking a variety of roles and responsibilities. Samantha works part time while she is studying to become a neo-natal special care nurse, she has also recently completed her personal trainer's qualification. Her initial role was completing office administration and providing customer service. Samantha excelled in this role and showed the initiative to look for ways she could enhance processes that would improve the overall customer experience, newly introduced processes were developed, documented and implemented. The contribution to process improvement is outstanding and was enhanced with the dedication shown to supporting staff through the changes, offering guidance to junior staff and offering support to senior staff. Brent came recommended to EnerMech in 2012. Upon employment he showed immediately his enthusiasm and commitment to the job and to his colleagues alike. His appetite to learn and absorb information is of a high standard and he has the respect of his managers, supervisors and of his fellow colleagues. As an apprentice Brent also takes an active role and represents the workforce on the companies Occupational Health and Safety Committee. Dempsey began her employment at Parkroyal in August 2012. She is extremely hard working, and is extremely passionate about every facet of her role. She is constantly striving to increase her skillset and knowledge. Dempsey was promoted from her graduate position to full time Coordinator within 1 year. Her high level of customer service and professional attitude has seen her win some of the largest pieces of business the hotel has ever seen, bringing in high revenue and assisting the department to achieve its budget targets, as well as bringing revenue to the local community. Dempsey is an asset to the hotel, and makes achievements within her role on a regular basis. Her dedication and hard work will definitely see her succeed in her chosen career path of hotel events. Colin was initially employed at Dolphin Products as a graduate engineer reporting to the Project Manager. His role was to support services from an Engineering, Manufacturing and Product perspective for new and existing business. Colin was promoted to Project Engineer and his focus is now on supporting new business opportunities, developing quotes and liaising with the customer base whilst still continuing to fulfil the duties of the previous job. He has demonstrated professional growth and development since he started at Dolphin Products on 25th September 2012. Colin has a can do attitude, a thirst for knowledge and an infectious laugh that immediately wins customers and suppliers over. Beginning POP IT in 2012, Elsje Jordan has created a viable way to gain exposure for emerging Melbourne designers and artists while involving the community and supporting local spaces. POP IT runs as a temporary retail innovation or pop up shop and Elsje organises, markets and promotes every event and with sponsorship has managed to host workshops with local artists and designers gaining magazine and local winery partners. After almost two years POP IT has worked with the City of Darebin's Active Spaces program, as well as with Moreland City Council, Melbourne Spring fashion festival and the Substation Cultural Arts Hub. POP IT runs to benefit Artists and Designers, gaining them retailing experience with sales potential. Nicole was recruited in January 2011 as a business trainee. As part of her traineeship, she studied towards her Certificate III and IV in Business Administration and then achieved her Diploma of Management. She is now studying towards her Bachelor of Business Management in her own time. Nicole has coordinated her work and shown tremendous commitment to her job and studies. In the 3 years that Nicole has worked for Continental, she has always been extremely diligent, reliable and often gone above and beyond. She is very eager to learn and take on extra responsibilities and has a very positive attitude. Wilson Pateras believe that Linan is deserved of this recognition in two ways: Firstly, her nature and personality. Linan is constant of positive energy. Always happy to be around, polite and courteous to all. Always willing and able to go the extra mile when required. Meticulous, exacting and efficient in her work. Secondly, her tremendous academic and professional success in recent years. Completion of a Bachelor of Commerce (Accounting) and a Master of Financial Analysis from La Trobe University followed by a start to her working career at Wilson Pateras. Stacey started her own pre-school photography business, Allure Photography two years ago. She studied her Certificate 3 in Micro Business in early 2012 and then started working full time in her business. Stacey is proud of her determination and hard work that has contributed towards her achieving her dream of running her own business. Allure photography is going so well that Stacey has hired two staff members to support her growing business. Jessica assists with the management of a team of 10 plus employees. Jessica is a strong team leader. Her skills include customer service, merchandising, rostering and sales tracking. She always has a positive outlook, keeps the team motivated and consistent and helps drive a strong team and delivers results. Jessica has vast knowledge of her department and has always assisted others above and beyond. She is extremely kind hearted and finds friendship in everyone she meets. After spending over a year in Africa - studying, travelling, working and experiencing, Bec returned home to Australia and founded The Projection Room. The Projection Room is a project management consultancy company that makes project(ion)s happen. She chose this title for her business as she believed it encapsulated the types of projects she desired to attract and engage with. Basically The Projection Room focuses on projects that embrace creativity, innovation and social entrepreneurship, and that pursue improved social outcomes. Through such projects, Bec is able to help others achieve their projections for a better world. Thanks to Bec's relentless, passionate nature, and her commitment to growing social enterprise here in Australia. The Projection Room is going from strength to strength, evolving as a small-but-mighty "conscious company" that is helping to define a better way of doing business. Stacey has been working at Barry Plant Preston for 3 years. Stacey is hardworking, enthusiastic and completed her course before commencing her role at Barry Plant. She looks after 200+ properties and treats each property like it's her own. Stacey was "thrown in the deep end" with her portfolio (which was neglected) and was able to get it back in order within 12 months and decrease the average percentage of arrears by 1.5%. Stacey is very passionate and focuses on her tasks. She is a team player, good communicator and has a career goal to remain in real estate. Natasa's childhood dream came true when she opened The Vintage Rose Bookshop in Hurstbridge in 2011. Since opening, she has created an environment for artists and writers to exhibit and promote their work in the hopes of supporting them and their amazing talents. One of her main aims of the business is to encourage reading as much as possible especially to children. Natasa has sponsored and donated books for many different charities and fund raisers, including preschools and primary schools within the area, scouts and the Solomon Islands. Enza has worked for St Monica's College for the past four years. She was originally employed at the end of Year 12 and has continued to work at St Monica's while studying her Degree in Sport and Recreational management. Enza has always demonstrated a strong commitment to both her work and to those she works with. Her collegues describe her as friendly and always willing to lend a hand. Enza is currently working hard to represent Australia in the national soccer team but her long term goal is to combine her sport and recreational qualification with her love of soccer. Ryan is a Team Leader of Brite Plants, an Australian Disability Enterprise. 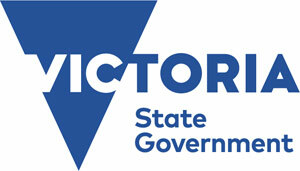 They support nearly 200 people with disabilities throughout Hume, Moreland and Moonee Valley Local Government Areas. Brite Services provides highly valued employment and training opportunities each year. Ryan’s work ethic is outstanding. He is a very conscientious worker; willingly works beyond his working hours to assist the team’s requirements and to meet deadlines. Demonstration of his duties includes high attention to detail and pride in all that he undertakes. He is always willing to learn new skills and go outside of his ‘comfort zone’. Ryan has built a great relationship and mutual respect for his supported employees, demonstrating respect, dignity and compassion. He is a team player, always willing to assist and follows through with set commitments. Jordan has been working with Mastercut Butchers for two years and recently initiated discussions with his employer about turning his "after school" job into a School based apprenticeship. Jordan has been described by his employer as amazing for his age with an exceptional attitude and work ethic. Jordan has demonstrated initiative in his workplace and is always polite and eager to learn.